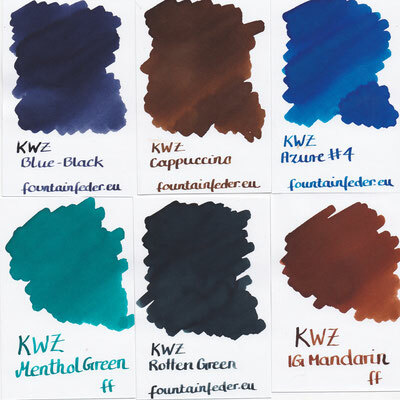 KWZ new additions - fountainfeders Webseite! 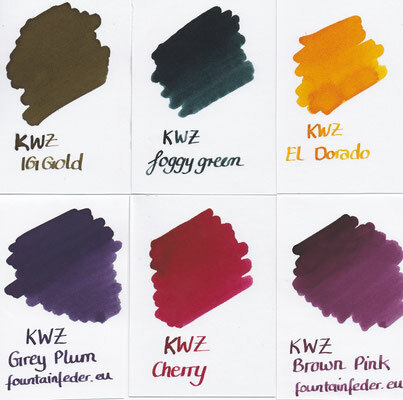 We are huge fans of the KWZ inks, which are manufactured in Polen. To expand our ink range we added 4 new colours of those awesome inks. Azure #4, Blue-Black, Rotten Green and Cappuccino. 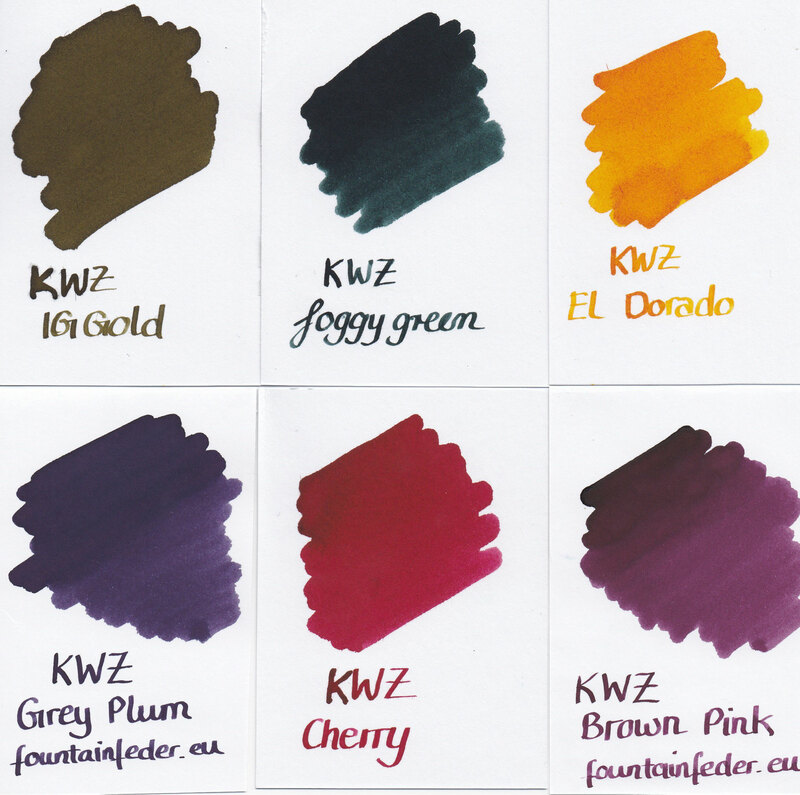 We do offer 18 different colours of KWZ inks as bottles and ink samples from today on. I am pretty sure that we will be adding some more colours down the road, since KWZ offers a wide variety of awesome colours. The inks are saturated and offer bold colours which behave wonderful in fountain pens. 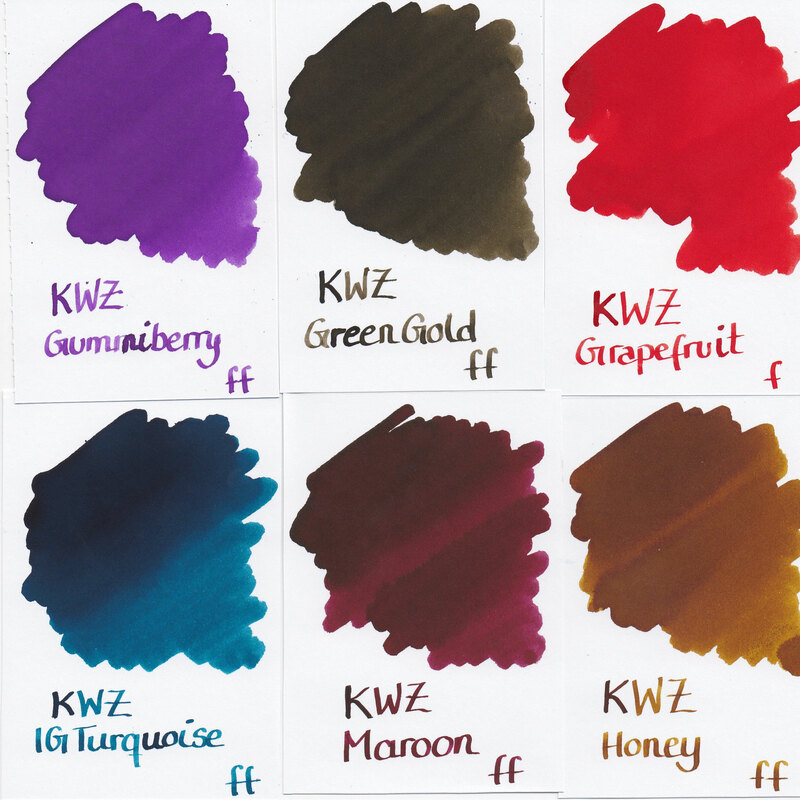 Considering the "handmade" aspect and the wide variety these inks are just to good to be true for the value and price. Our currently favourite ones are IG Turquoise, Foggy Green, Grey Plum and Maroon. What are your favourite KWZ inks? Let us know in the comment section. I'd have to agree with your choices. I'm going to have to add bottles of those to my ever growing ink wishlist! I'd probably add one more to your list though - KWZ Cherry. Looks like a great, bright red without having too much orange in it.